The perinatal postmortem examination is one investigation offered to parents after they experience the death of their child. From both the parents’ and clinicians’ perspective, the postmortem examination aims to determine what was or was not the cause of death and to identify any relevant associated factors. For parents, appropriate explanation of these findings can facilitate the process of grieving and aid in planning future pregnancies. For professionals, in addition to information for the parents, these data can provide population-level information about why babies die, which are key components of audit and ensuring safety of care. Despite these benefits the rate of perinatal postmortem examination is decreasing in many settings. 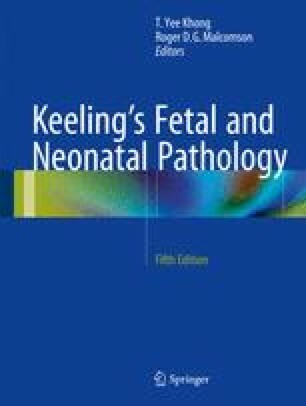 We review the evidence for perinatal postmortem (and associated) examination in cases of stillbirth and neonatal deaths. We consider the consent process and feedback of information to parents and how this affects whether parents give consent for a postmortem examination. Finally, we consider what the likely developments in perinatal postmortem examination may be and how these will affect clinicians and parents.